Experienced UNIX System Engineer, passionate about High Availability Clusters, Distributed Systems and their security. I had an opportunity to take both exams related to those two most popular automation and configuration management frameworks. 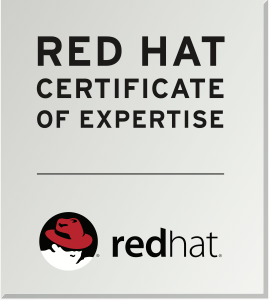 Here are some thoughts about the Red Hat’s 405 (Puppet) and 407 (Ansible) exams. FreeBSD’s kernel provides quite sophisticated privilege model that extends the traditional UNIX user-and-group one. Here I’ll show how to leverage it to grant access to specific privileges to group of non-root users. I’ve recently gained the Certificate of Expertise in Enterprise Deployment and Systems Management after passing EX403. I took the exam in the City of London as an individual session – this time on KOALA – Kiosk On A Laptop. On the RedHat’s site the exam is advertised to take three hours but after starting the exam I found that the clock shows four hours. I’m pleased to announce that bhyve, the FreeBSD’s hypervisor, is now sandboxed using Capsicum framework. Python supports well known data types, like lists and dictionaries that are easy to use. But can you cheat interpreter to use easier semantics to access dict data? Need help with Amazon Web Services (AWS)?